Karen R. Clark is Chief Information Officer for OrthoTennessee, where she has worked since 1998. In that role, she serves on national committees for the Healthcare Information Management Systems Society (HIMSS). A HIMSS Fellow and Certified Professional in Healthcare Information and Management Systems, her current HIMSS committee is the HIT User Experience, which focuses on clinician experience with health information technology. She has spoken at the AAOE, AAOS, and OrthoForum conferences on both information security and the 2015 MACRA legislation, specifically on the Merit-based Incentive Payment System (MIPS.). 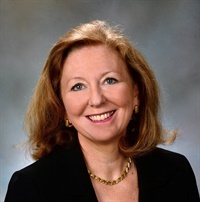 She is a member of the College of Healthcare Information Management Executives (CHIME), as well as the CIO/CMIO Council with the American Medical Group Association.